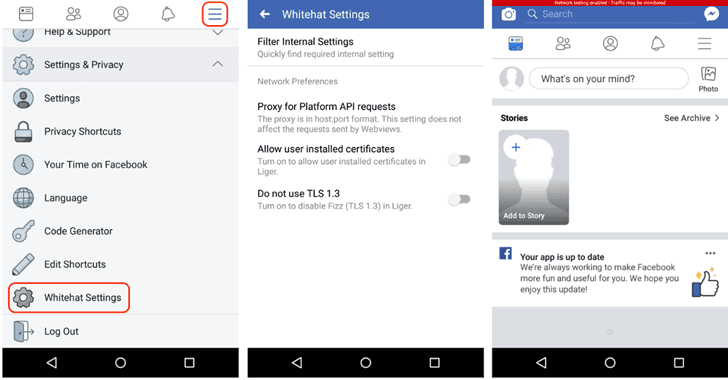 "Choose not to use TLS 1.3 to allow you to work with proxies such as Burp or Charles which currently only support up to TLS 1.2," Facebook says. "To ensure the settings show up in each mobile apps, we recommend you sign out from each mobile app, close the app, then open the app and sign in again. The sign in process will fetch the new configuration and setting updates you have just made. You only need to do this once, or whenever you make changes to these settings," Facebook says. Once enabled, you'll see a banner at the top of your app (Facebook, Messenger, or Instagram) indicating that the network testing is enabled and your traffic may be monitored. 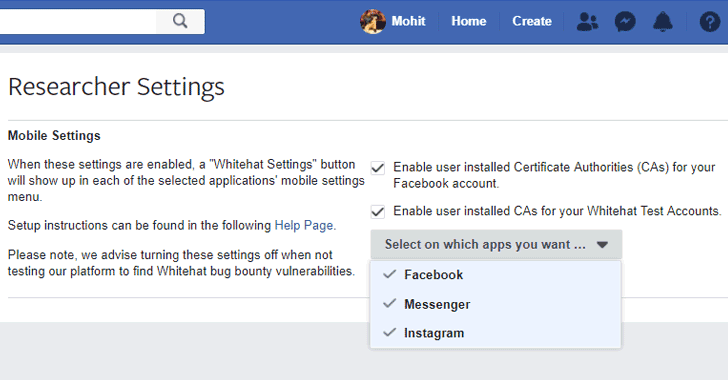 "For the security of your account, we advise turning these settings off when not testing our platform to find Whitehat bug bounty vulnerabilities," the social media says.